*This article by Myles Wickstead was originally published by Alliance magazine on 28 November 2017. The original article can be found here. For more philanthropy coverage, please visit www.alliancemagazine.org. The SDGs are universal – they apply everywhere and to everyone. So where does philanthropy come in? Let’s begin with a bit of history. The broad framework for aid and development from 2000 to 2015 was governed by the Millennium Development Goals (MDGs) – essentially a compact, though not a formal agreement – whereby the developing countries would put in place the conditions to achieve a number of Goals, mainly around basic health and primary education, and the developed countries would provide support in the form of financial and other assistance. The overarching objective of these MDGs was to halve the proportion of people in the world living in absolute poverty – that is, those subsisting on less than $1.25 per day – by 2015. To the surprise of many, this objective was achieved – and in fact achieved some way ahead of time. Aid most commonly in the form of financial and technical support from the governments of the ‘rich north’ to the governments of the ‘poor south’ undoubtedly contributed to this success; but it mainly had to do with strong economic growth in China, India and a number of other countries, including in Africa. The world in 2015 looked a very different place from the year 2000, so, too, did the political and economic context. 9/11 continued to cast a long shadow. The financial crash of 2008 helped to accelerate a shift in the world order, in which the so-called developed countries grew – and continue to grow – at extremely modest rates compared with most of the developing countries. The G8 had leaked power visibly and rapidly to the G20. The developing countries had, on the whole, done a much better job of delivering on their MDG promises than the developed countries had in supporting them – though the Coalition Government in the UK deserves credit for becoming the first G8 country to deliver on the 0.7 ODA/GNI promise in 2013. And people were generally much more conscious of the potentially devastating effects for everyone, north or south, rich or poor, of a failure to address global challenges such as climate change and diseases that cross borders. That was the context in which discussions on a new set of Goals to succeed the MDGs took place. There is no need to describe in detail the process which led to the Sustainable Development Goals (SDGs) but it is worth saying that (unlike the MDGs) they were the result of a very consultative process, engaging governments, civil society and the private sector. Perhaps as an inevitable consequence of that, there are a lot of Goals (17, as against 8 MDGs) and ten times as many targets (169). Partnerships (the three key organisational pillars – governments, civil society and the private sector – need to work together to make progress). Bear in mind, these are universal objectives, so in addition to helping other countries make progress towards these Goals through its international development programme the British Government has committed itself to making progress within the UK towards the Goals. 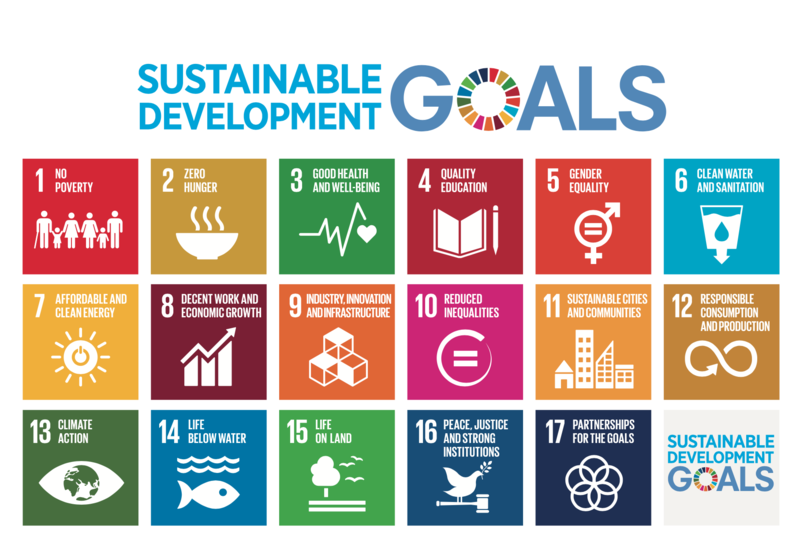 It sets out these commitments in a March 2017 Cabinet Office Paper ‘Agenda 2030: Delivering the Global Goals’ and is expected to make a presentation on progress at the High Level Political Forum in New York in mid-2019. But this is not just about governments. The final Goal, SDG 17, is about the importance of partnerships, and refers specifically to the roles of the private sector and civil society. Some developing countries will continue to need millions of dollars in aid for some time to come; but they will need even more the billions and trillions for infrastructure development that the private sector can bring. There are many stepping stones needed to achieve success with the SDGs. That investment simply won’t happen without the right conditions within such countries and civil society, too, has a crucial role to play in bringing about the conditions set out in SDG 16, which refers to the need to ‘promote peaceful and inclusive societies for sustainable development, provide access to justice for all and build effective, accountable and inclusive institutions at all levels’. It will need to hold governments to account for delivering on those objectives, as well as helping more directly to deliver services. So where do philanthropists and foundations fit into all this? At the risk of over-generalising, they can bring to the table a private sector, entrepreneurial mind-set and ‘can-do’ approach combined with the inclusivity and ‘leave no-one behind’ mentality of the best civil society actors. That is why at Wilton Park we decided to run a series of conference on precisely this issue, framed around the 5 Ps noted above. We want to look specifically at the current state of philanthropic giving and the major challenges and opportunities ahead; at how the philanthropic sector can contribute towards the fulfilment of the SDGs; at trends and tools that can be harnessed for maximum impact; and how foundations and philanthropists might work more closely together – and with governments, civil society and the private sector – in the most effective way possible. The first conference, run in partnership with the Charities Aid Foundation (CAF), will define the substance and process for subsequent events; and we are delighted that Alliance will provide a global platform to discuss the issues which arise. We will share online reports, blogs, videos and podcasts, so please do contribute to the debate. Achievements against the MDGs demonstrated the extraordinary progress that could be made. But we have to finish the job. We have an opportunity between now and 2030 to eliminate absolute poverty and to do so in a way which does not endanger the future of the planet. This is in everybody’s interests and rallying behind the Global Goals for Sustainable Development is the best way to bring solidarity to that challenge. It is no longer possible, if it ever was, to put up the shutters and act as though the world outside doesn’t exist. But that is exactly what some people have been trying to do since the world stood together in the second half of 2015 and agreed on the SDGs and the Paris Climate Change Declaration. It must surely be evident that some of the key challenges of our time – outbreaks of epidemics, climate change and environmental pollution – can only be addressed on a regional or global basis. But the spirit of international cooperation and coordination seems in regrettably short supply. Most philanthropists and foundations will have their own niche. Some will want to work on education; some on health; some on the environment. Many will want to keep a low profile; others will want to be out there encouraging civil society to be active in lobbying for greater transparency, accountability and respect for human rights. All have a role to play, not least in encouraging (quietly or noisily) governments to put their weight behind the SDGs by demonstrating the sixth ‘P’ without which none of this will happen – Political Will. Without that, and without governments, the private sector, civil society, foundations and philanthropists finding ways of working more closely together to make progress towards the SDGs, our future – and conceivably our very survival – is much less certain. Myles Wickstead is acting chief executive at Wilton Park, visiting professor in International Relations at King’s College London and author of ‘Aid and Development: A brief introduction’ published by Oxford University Press. 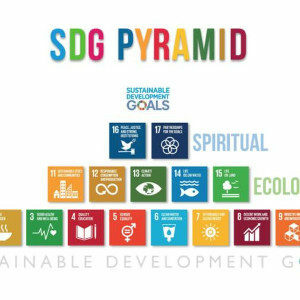 For more coverage of the SDG’s, click here.